Before I went to E3, our team had only about 6 (or so) full-time developers. 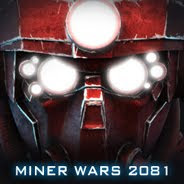 I was able to dedicate 30-50% of my time to the actual production work - programming Miner Wars. Upon return from E3, we had nearly doubled our staff. About 11 people in Czech office and a few more abroad. I had to make a quick decision – is my future that of a programmer or a leader? Luckily, I’d had experience as a leader before, and felt confident about a transition. While on the flight from the US to Prague, I re-read a book on the topic: Team Leadership in Game Industry. It made me think more about the prospect of running a ‘team’; right after I arrived back to Czech I strode into the office in my new role - LEADER. Production work is left to the production staff: I no-longer do the actual programming - I have to delegate all production work to other team member. Reason: if I sit down and start implementing new features, fixing code, looking for bugs... it would stop me for X number of hours, all of which could be used to perform leadership duties, and ensuring the production staff is able to keep on track. I do everything in my power to not be a bottleneck to the team. Reason: developers can't wait on my decisions. I try to lead, not manage, and especially not micro-manage. We tried hard to hire only senior developers who can work independently. I let developers to add their contribution to the design too. I don't try to design every little detail. My job is only to wrap it all up and make it move in the desired direction. This whole transition (Marek Programmer -> Marek Team Leader) was very fluid, especially because I was dropping more and more programming duties during the months pressing on, so actually very little has changed to me – I’ve just made that mental switch. Finally, I’d like to add that I’m very surprised how our team turned out. Everybody is enthusiastic and they all seem to love their job. Everybody is dedicated. I didn't expect this would work in all cases – looks like we did good job during hiring process. The first attribute we looked for in a new applicant was his/her passion for the project. I consider this the most important attribute. A hard lesson learnt early-on was the value of administration/secretary’s role. It is, of course, important to save money, especially as a start-up business. But the time programmers, artists, and other developers had to spend on unrelated tasks ended up yielding a cost higher than which would have been saved if we had simply hired an administrative officer in the first place. Next time we’ll be hiring a secretary the day the office opens its doors.